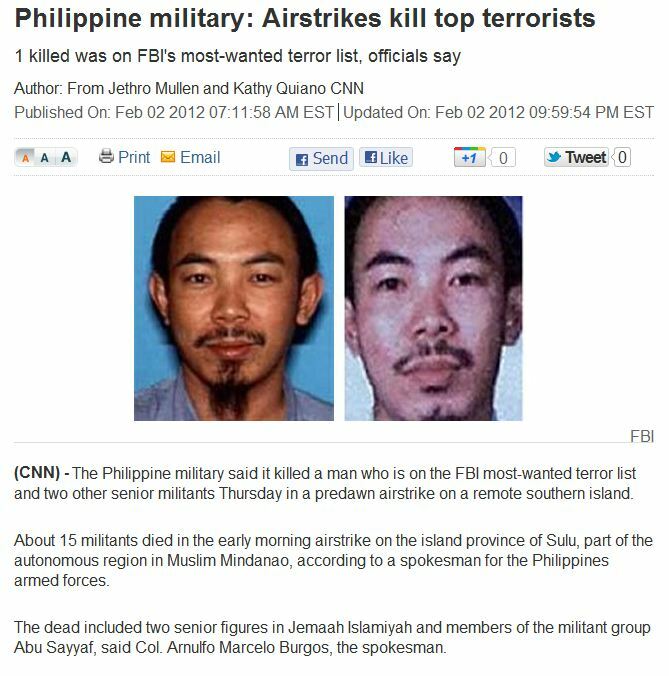 PHILIPPINES MILITARY AIR STRIKE TAKES OUT TOP ABU SAYYAF MUSTARDS……. – The Tundra Tabloids……. PHILIPPINES MILITARY AIR STRIKE TAKES OUT TOP ABU SAYYAF MUSTARDS……. Two down, thousands more to go. Previous Post Previous Post FULL VEILED MUSLIM DENIED SERVICE AT FLORIDA GAS STATION, OUTRAGE ENSUES…….